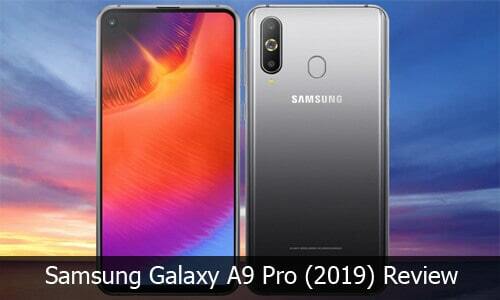 The biggest Smartphone Giant company “Samsung” just launched the Samsung Galaxy A9 Pro (2019) device in South Korea. This smartphone comes with a punch-hole display which Samsung calls “Infinity-O” screen. This smartphone was Launched in China last month as Galaxy A8s. Presently, Samsung just Launched the same phone in Korea as Samsung Galaxy A9 pro. This device comes in blue, grey and Green colors and it has a 6.4-inch display with 2340 x 1080 pixels screen resolution. It also comes with 19.5:9 aspect ratio. 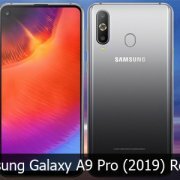 Samsung Galaxy A9 pro 2019 comes Qualcomm Snapdragon 710 10nm octa-core upper mid-range. It has 6/8GB RAM and 128GB internal storage. This device comes with three cameras and it has a fingerprint sensor. Below are the key specification, Full specs, and pricing of the smartphone. The Samsung Galaxy A9 Pro phone will be sold at 599,000 Korean Won which is about $533 according to the exchange rate.